This is the film that will introduce most of the country to the Watchers: fallen angels who, according to Aronofsky’s version, have been encrusted in stone and, with a little persuading, help Noah construct the ark (for giants with gobs of rock for hands, they are extraordinarily dexterous). When I first heard this, I was absolutely dumbfounded. And no, the Watchers were not giant rock monsters either. I have no idea where Aronofsky got that. It is recounted that the Watchers are friends with Methuselah because he saved them once. They came to earth to help the humans after the Creator had banished humans from Eden, but the Watchers too were punished for disobedience by the Creator, who bound them to the earth and forced them to take form as stone creatures. But after learning from them, the humans tried to enslave and kill them. They tried to run, and Methuselah helped their escape by fighting the waves of human soldiers with a burning sword. I can just imagine how little kids that watch this film are going to feel. They are going to want to be just like the heroic “rock giants” that helped Noah. They are going to have absolutely no idea who “the Watchers” really are. Normally I do not spend my time writing about Hollywood films. But hundreds of millions of people around the globe could end up seeing this movie over the next several years, and instead of learning about one of the most important events in human history, they are going to get a version of the story that is almost totally opposite of what it should be. The truth is that fallen angels are real, they really did mate with human women, and the Nephilim really did exist. You can find some of my previous articles about the Nephilim here, here, here and here. I really wish that Hollywood would have gotten this one right. 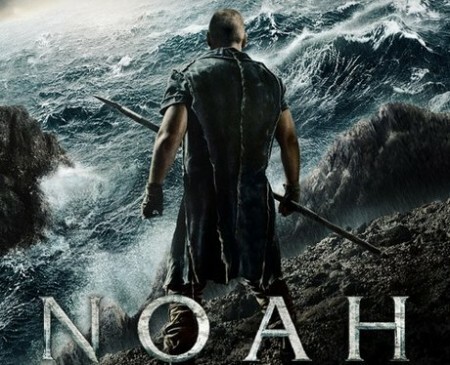 An accurate movie about Noah starring Russell Crowe would have been very cool.